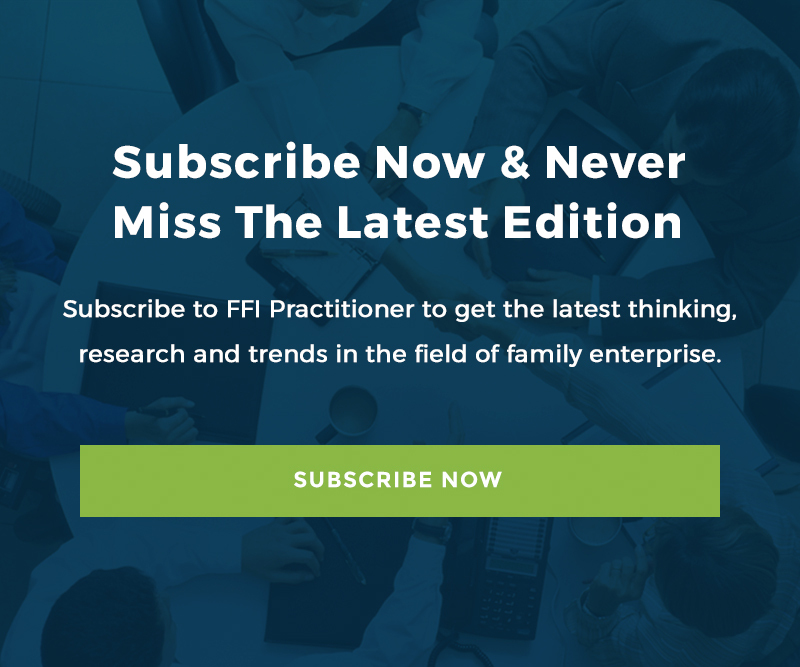 Today’s Edition kicks off a month of FFI Practitioner articles based on the Global Conference theme – Family Business: Electrifying. Direct Investing: Can this be the Second Coming for the family business? This article explores the potential risks and rewards and provides suggestions for family business and their advisors who decide to engage in the practice. This week, Katherina Rosqueta, from the Center for High Impact Philanthropy at the University of Pennsylvania, explores several approaches to impact investing, an increasingly utilized strategy to align deeply held family values with their financial investment strategy. 2017 Keynote Speaker and biological anthropologist, Dr. Helen Fisher shares her research on the evolution of team-building, identifying four distinct styles of thinking and their implications on the composition of the family enterprise.